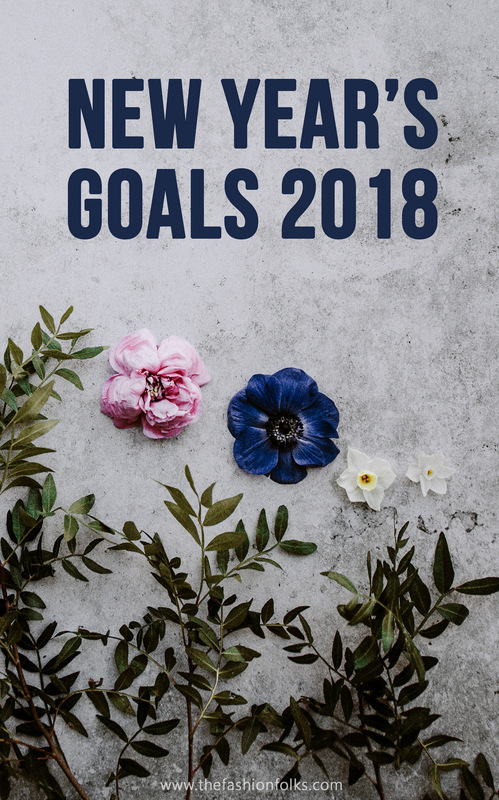 Why on earth am I talking about New Year’s goals 2018 when it’s early April? Well, it’s still the “new” year right? To get the goals going, you have to remind and be reminded. So since we’re four months in, I thought we all need a reminder of where we’re going this year with our resolutions or goals this year. Of course with a focus on fashion and beauty! First of all, catch the full article here! I wrote down five suggestions for fashion resolutions (goals) for 2018. The first goal was to find a new wardrobe staple. It can be anything from a blazer, to a scarf or a pair of boots. I’ve written 20 different ideas for the wardrobe staples 2018 in two different articles, part 1 and part 2. Perhaps one of them will be your new staple? My new fashion bae is a camel colored cape which is perfect for layering! The second resolution was to read a fashion book, which honestly is more of a general encouragement to read more. 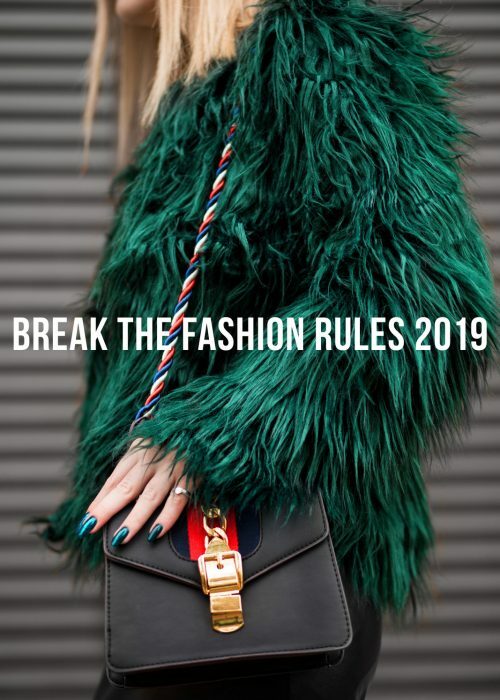 It’s easy to only get inspiration from social media today, but learning more about the details and theory behind fashion will give you a solid foundation of knowledge. I mean, after you’ve learnt the rules is when you can break them! Find either a fashion book on some theory, like a style-guide or more about the fashion history. Go for the subject that’s closest to your heart and let it fill you with new knowledge and perspectives! The third goal of 2018 was to try a new trend. 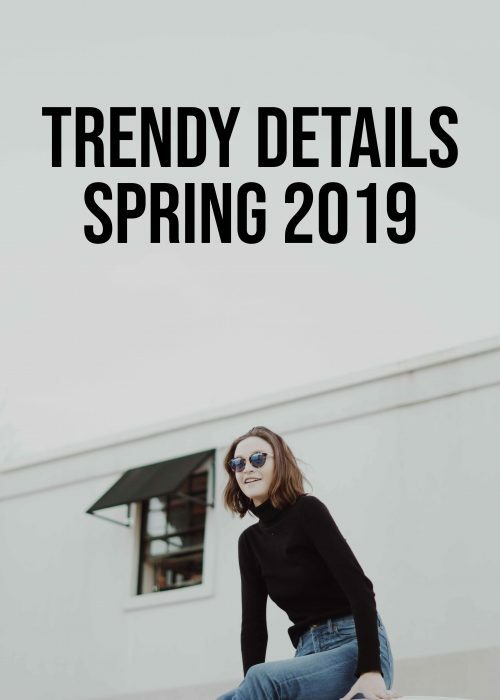 Perhaps you’ve already done it if you follow the current pace of trends, or perhaps you’re waiting for summer when everything with fashion just seems easier. 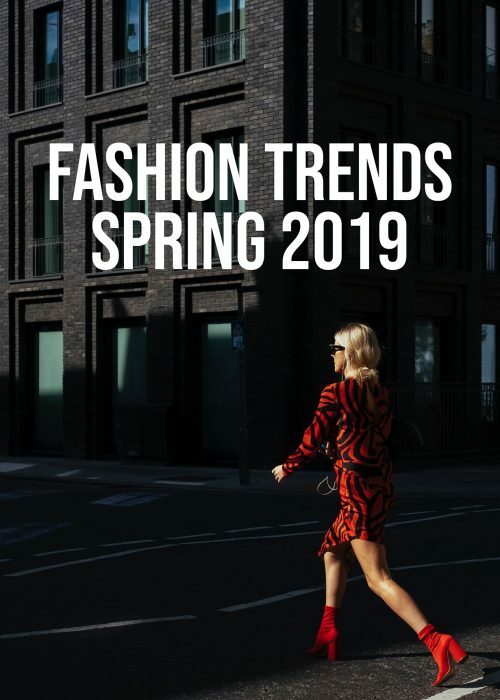 Anyhow, for some inspiration you can either check out the series #Trendalert or why not read about the fashion trends for spring here, or be way ahead and catch the fashion trends fall 2018? One new trend I’ve embraced this year is the leopard print. I got a cute little bag in the print and I’ve worn it a lot lately! It’s luckily quite the timeless piece, so this is a trend I’ll carry with me (pun intended) for years! The fourth idea I talked about for 2018 was to give away clothes! All the clothes you haven’t worn in forever and have no interest in, are clothes that are better off to charity (or friends), than to take up space in your closet. While you’re at it, remember or even document what clothes you are giving away (perhaps a specific color, print or material) and make sure not to buy that anymore! The final goal I set up for 2018 was to style more and shop less, my absolute favorite. This is what it all comes down to folks! Learn how to style your clothes instead of buying new ones every other week. Know how to make a white tee look different in 50 different outfits or how to make the red coat feel exciting or new though you’ve had it for years. It’s about learning how to change details, colors, textures, materials and accessories to create a whole new look and vibe. I did an article with 50 outfit ideas for spring which might help. Or why not check out the styling category? Let’s all embrace creativity in order to reach sustainability! Catch the full article here! I opened the article by referring to a few articles I’ve read on the accessibility of makeup. If you feel like you’re in need of something new, changing your makeup game is easier than adjusting your fashion game. No need to go out and by a new top but perhaps blend two shades of lipsticks instead. Makeup is easy as you, often, have all the makeup products you need to create something new. And that’s kind of what the beauty resolutions are about this year. The first goal I set up was to find a new lipstick shade. I’m sure many of us have a range of lipsticks we tend to choose, which is why it’s time to broaden the horizon. Finding a new color for your face will give some new energy which is definitely something we all need after the long winter. I’m currently trying to be pals with a purple lipstick (I’m thinking a warm shade of purple), which I think will be a fun contrast for spring and summer! The second New Year’s goals was to set a good skincare routine. I even went so basic that I encouraged us all to cleanse the face and then moisturize. I, of course, stand by it today as well and shall include the reminders of 1) never go to sleep with your makeup on 2) drink enough water 3) leave the skin alone, don’t annoy blemishes etc 4) use a high spf for the face 5) let the face rest from makeup/products every now and then 6) treat your skin once in awhile. I mean the skin is the body’s largest organ and needs to be taken care extra care off sometimes. Perhaps do a face mask or a facial massage? How often you feel like your skin needs it, do it! The third beauty goal for this year is to go for a sustainable beauty life. Make sure to choose organic products that are cruelty-free too! As I said in the article, I’m sure that the majority, if not all, of the products you use can be found in sustainable versions. I honestly need to work more consciously with this one, but I’m determined to get there as soon as possible! Be aware of how your brand works and if you can stand behind those values and their work ethic too! The final goal I set up for the beauty year is similar to the one of fashion and finding a new wardrobe staple. I encouraged us all to find a new go-to makeup look! Similar to finding a new lipstick shade, it can be a good idea to find a new makeup look that will give a much needed dose of energy. Perhaps it’ll be about finding a glow, accentuating your features or dare to go bold with more colors? A new makeup look you can rely one, should be one that you absolutely love, is easy to match with your clothes and suits your daily life. I mean, that’s about it! Oooh Mia, I can’t believe we’re in April, time is running so fast and I still feel like it is the beginning of the year haha! Your goals are similar to mine! I’ve been working on selling and trying to get rid of my clothes I don’t wear or need anymore! And I’ve been working hard on styling instead of buying, so making many different outfits with what I have. I love that you’re checking in on your progress- I need to do this! Love this post!! This year I’m doing my goals!! This is so cool! I love the reminder to keep up with those New Year’s goals! I am so behind on my goals, too much going on at the moment and with all the wedding preparation, I haven’t managed to do all things I wanted. It’s good to go back and remind ourselves our goals. So many similar goals we both have! I loved the last fashion goal specifically style more and buy less hence, just like you even I started buying basics and wardrobe staples! And I recently wrote about my skincare resolution for this year, I too am focusing in giving the care it missed all this time! Thanks for reminding me of my goals! You made some great goals. Glad you like your new leo print bag. I always think it is a good idea to revisit goals just to see how you are doing. These were some great goals and they sound very reasonable and approachable.